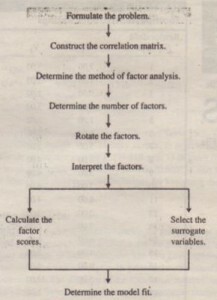 Problem formulation includes several tasks. 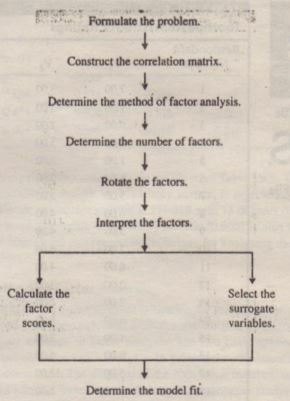 First, the objectives of factor analysis should be identified. 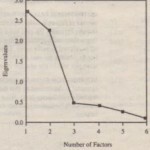 The variables to be included in the factor analysis should be specified based on past research, theory, and judgment of the researcher. It is important that the variables be appropriately measured on an interval or ratio scale. An appropriate sample size should be used. As a rough guideline, there should be at least four or five times as many observations (sample size) as there are variables. V1: It is important to buy a toothpaste that prevents cavities. V2: I like a toothpaste that gives shiny teeth. V3: A toothpaste should strengthen your gums. V4: I prefer a toothpaste that freshens breath. V5: Prevention of tooth decay is not an important benefit offered by a toothpaste. V6: The most important consideration in buying a toothpaste is attractive teeth. 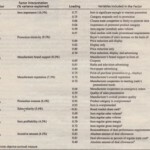 The data obtained are given in Table 19.1. For illustrative purposes, we consider only a small number of observations. In actual practice, factor analysis is performed on a much larger sample such as that in the Dell running case and other cases with real data that are presented in this book. 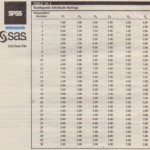 A correlation matrix was constructed based on these ratings data.